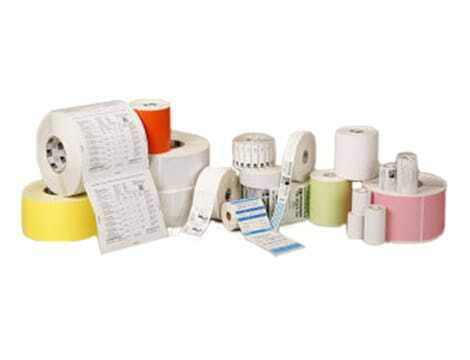 SATO, CONSUMABLES, 4" X 2" DIRECT THERMAL LABELS, WOUND OUT, 3"CORE, 8"OD, FOR INDUSTRIAL PRINTERS, 2900 LABELS PER ROLL, 4 ROLLS PER CASE, PERFORATED, PRICED PER CASE Barcoding Store, powered by Strategic Mobiltiy Group, LLC (SMG3) offers globally recognized products and industry-leading solutions to enhance your organnization's productivity. Combining optimal search functionality and industry-leading products from Zebra, Honeywell, AML, etc., Barcoding Store creates a superior shopping experience unlike any other withing our industry. BIXOLON, L310, MOBILE LABEL PRINTER, ZEBRA LANGUAGE, BLACK, WIFI, SER, USB, BATTERY CHARGER, POWER SUPPLY, 1 YEAR WARRANTY Barcoding Store, powered by Strategic Mobiltiy Group, LLC (SMG3) offers globally recognized products and industry-leading solutions to enhance your organnization's productivity. Combining optimal search functionality and industry-leading products from Zebra, Honeywell, AML, etc., Barcoding Store creates a superior shopping experience unlike any other withing our industry. NISCA, PR-L151D LAMINATION MODULE FOR PR53XX AND PR-C151 PRINTERS, DUAL SIDED, FIELD UPGRADEABLE, Barcoding Store, powered by Strategic Mobiltiy Group, LLC (SMG3) offers globally recognized products and industry-leading solutions to enhance your organnization's productivity. Combining optimal search functionality and industry-leading products from Zebra, Honeywell, AML, etc., Barcoding Store creates a superior shopping experience unlike any other withing our industry. ZEBRACARD, CONSUMABLES, MEDIA KIT,LARGE FORMAT PRINTER,400 IMAGES,23 MIL,HF NTAG216/UHF ALN9662,1 SLOT PUNCH Barcoding Store, powered by Strategic Mobiltiy Group, LLC (SMG3) offers globally recognized products and industry-leading solutions to enhance your organnization's productivity. Combining optimal search functionality and industry-leading products from Zebra, Honeywell, AML, etc., Barcoding Store creates a superior shopping experience unlike any other withing our industry.